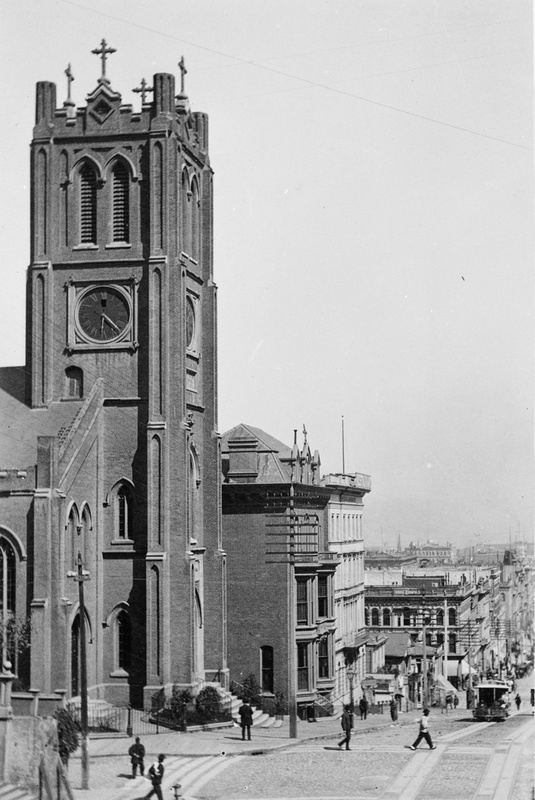 Another view of the Old Saint Mary’s Cathedral, taken looking down California Street, around 1900. 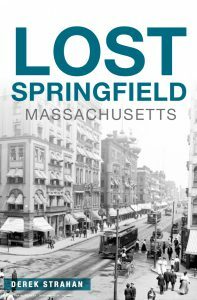 Image courtesy of the Library of Congress, Historic American Buildings Survey Collection. The first photo shows California Street just a few years before nearly this entire scene was destroyed in the 1906 earthquake. 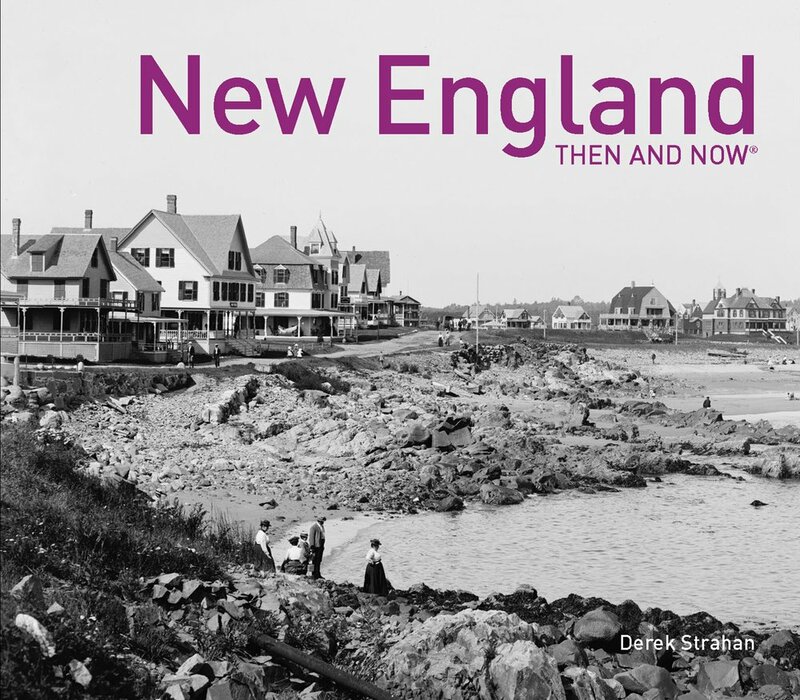 The most prominent building in the first photo is the Old Saint Mary’s Cathedral, and this is also the only building that survives to the present day. As seen in the previous post, though, not much is left of the original building. It was completely gutted in the fires, and today only the exterior walls are left from the 1854 church. 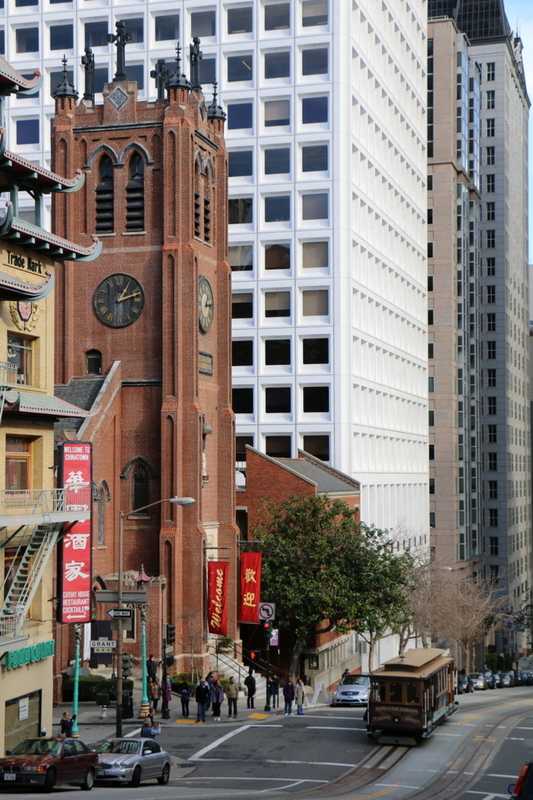 The city around the church has obviously changed; in the distance are the skyscrapers of the Financial District, and in the foreground is Grant Avenue, part of the city’s Chinatown neighborhood. The only other feature that both photos have in common is the cable cars. One of San Francisco’s most recognizable symbols, the cable car line on California Street was established in 1878. Although more expensive to operate than conventional electric trolleys, cable cars remained in use for many years because of the city’s many hills, which are far too steep for a trolley. Rather than relying on overhead wires for power, cable cars are literally pulled up the hills on a continuously-moving 1.25 inch steel cable. To stop the car, the operators simply disengage from the cable and reconnect when they are ready to continue uphill. The technology has not changed much since the first photo, but the major difference is that today’s cable cars are primarily tourist attractions rather than as a significant part of the city’s public transit system.